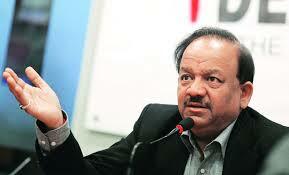 Union Health Minister, Dr. Harsh Vardhan trying to stir hopes of a cleanup of the country’s health care industry? A British Medical Journal (BMJ) article on corruption in Indian healthcare has been creating much debate in the medical community and among policy experts. “Kickbacks and bribes oil every part of the healthcare machinery and there is a “lack of the will to reform these practices.” This article titled “Corruption ruins the doctor-patient relationship in India” has been written by Australian medical practitioner Dr. David Berger. Days after this article was in the news, Dr. Harsh Vardhan said he is “fully conscious” that he “inherited a poisoned chalice”. In an email response to the queries on corruption in the health care sector, he has called the Medical Council of India a “corrupt organisation” and the Central Drug Standards Control Organisation which oversees clinical trials; a “snake pit of vested interests”. “As a doctor and former health minister, I am more aware than anybody else of the corruption that is eating into the entrails of every aspect of governance, including the health system”.The corruption that goes behind approving drug approvals was exposed through Wikileaks and later confirmed by the Standing Committee of the Health Ministry in 2012. There are malpractices in Central Government Health Scheme (CGHS). So, who am I to deny that it is going on?But a revolution is coming. Corruption has to be rooted out and there are no (two) views on that” . In response to the minister’s statement, Dr.Jayshree Mehta said that Medical Council of India has been reconstituted and is conducting itself in a transparent, professional manner . She has called Dr. Vardhan’s comments “disheartening and de-motivating as well.” Dr. Mehta is the president of the Council and has “zero tolerance to corruption” .The council has suspended several officials and employees suspected of being corrupt. Many experts working in the field support the BMJ article.Former health secretary, Dr Sujatha Rao also agreed “with Dr. Davis Berger’s assessment of the corruption in the Indian health sector”. “For the first time we have a health minister standing up and saying the den of vipers needs to be wiped out,” said Dr. Bobby John. “Corruption is at the root of all problems in the country where doctors take advantage of the unequal relationship between themselves and patients”.Dr. Bobby John is the President of Global Health Advocates, a non government organisation that focuses on engaging all sections of society to fight diseases that disproportionately affect people living in poverty. In particular, it works towards the formulation and implementation of effective public policies to fight disease and ill health. However, no article covering this debate in the media till now has highlighted how Dr. Harsh Vardhan plans to tackle corruption.It is slightly comforting to know that he is standing up against corruption but it will be interesting and more important to follow this story for his next steps .